ABC Pediatric Therapy - Trouble With Changes In Routine? 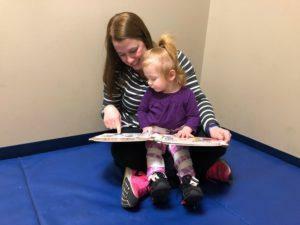 ABC Pediatric Therapy - Trouble With Changes In Routine? Trouble With Changes In Routine? Many people have difficulty and can feel anxious with changes in routine but especially children. Children thrive on routine and knowing what expectations are so when the routine is off, it can throw our children for a loop. Some common triggers include: going to the dentist, leaving the house, having guests over, holiday get-togethers, changes in plans and unexpected cancelled activities. There are several strategies that can help children tolerate these changes in routine. Discuss changes in advance if possible to allow your child time to adjust and anticipate the change. Social Stories can give children an idea of how the event may go. For example, if you’re having people over for the holidays or if taking him/her to the dentist you can make a quick story with pictures of who they will see, what they might do and so on. Ending the story in a positive way so he/she will know what to expect and reassure them that nothing bad will happen. Visit new places ahead of time. 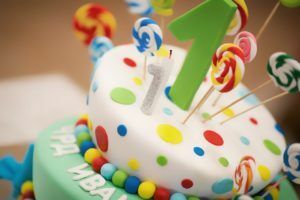 If he/she is going to a birthday party or going to the dentist, make arrangements to visits ahead of time when there won’t be any pressure and when it will just be a quick visit to see what the setting is like. The more comfortable he/she is ahead of time, the better experience it will be! Using schedules can help as well! It can be a simple 2 step schedule or a schedule with the day’s activities. A simple 2 step schedule may be, “first grocery store, then home”; “first lunch, then park”. Making a written or picture schedule for the day can also help children tolerate changes in routine. For example, a picture of the car, the store, grandparents house, a restaurant and home will give the child a visual to refer to so they know what to expect. If as a parent, we don’t know if something might come up or we might change plans, you can also add a picture of a question mark into the schedule. First let the question mark be something fun and exciting so children see that some unexpected plans are fun. Then you can let the question mark represent the possibility of Plan B (stopping at a new grocery store) and not Plan A (stopping at a familiar grocery store). For non-preferred activities, it can help children to use a visual timer or a behavior chart! A visual timer will give children a great visual in regards to how long the non-preferred task will take. A behavior chart can be used during the non-preferred task to keep children motivated and to give them positive reinforcement for tolerating the activity. There are phone and tablet applications that have schedules and visual timers. To find some motivating charts you can go to www.freebehaviorcharts.com. For more information on transitioning please go to www.abcpediatrictherapy.com.